Marshmallow Supernova: Just How Indestructible IS Captain Scarlet? When asked, everyone mentions Thunderbirds as his pinnacle. That's utter rubbish however - Captain Scarlet takes that honour. 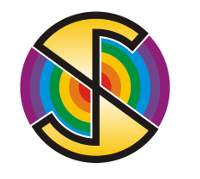 Captain Scarlet worked for Spectrum, an organisation which fought the dreaded Mysterons from Mars. High drama indeed. These evil Mysterons could, with their sCarY glowing circles, duplicate any person, and wage war... against fashion designers and other such targets. Heading up the fight was one man fate had made indestructible... Captain Scarlet! Long-term readers of my site might note that since I've returned from University for the holidays, my family have purchased a new microwave. Fools. Can the good captain survive a healthy dose of lethal radiation? Like any criminal (damn government agent) what would happen if I tried to hang Scarlet? The noose tightened round his neck (in a photograph so well taken... its arty, dammit) but his neck did not snap, nor did his legs hang limp. Incredible! During construction of the noose, my cat Mr Chocky (he hears voices in his head, like the John Wyndham novel 'Chocky') started getting very excited about the string, ruffle his fur the scamp. So what would he think of of a Captain Scarlet chew toy? Heh heh heh... Instant mauling! Ehehehe. Yes, you knew this was coming, didn't you? It's tradition, dammit. But still, Scarlet lives. Will nothing kill him? Frustrated, I threw Scarlet into my hamsters cage. Like a hero, he leapt onto the bars and evaded the gaping maw of the monster beneath him. More thrilling than any movie! Oh wow, I had that toy.